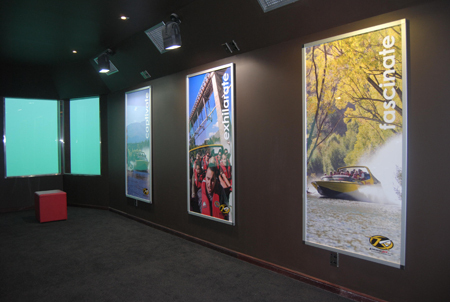 Click poster frames offer a cost effective and creative way to display posters and printed graphics. Slimline design frames in all standard sizes. A4 ( 210 mm x 297 mm ) – R 240.00 Each Excluding Vat, Minimum Order 10 Units. A3 ( 297 mm x 420 mm ) – R 280.00 Each Excluding Vat, Minimum Order 10 Units. A2 ( 420 mm x 594 mm ) – R 360.00 Each Excluding Vat, Minimum Order 5 Units. A1 ( 594 mm x 841 mm ) – R 470.00 Each Excluding Vat, Minimum Order 5 Units. A0 ( 841 mm x 1188 mm ) – R 730.00 Each Excluding Vat, Minimum Order 5 Units. Popular applications include Menu posters and restaurant promotions. 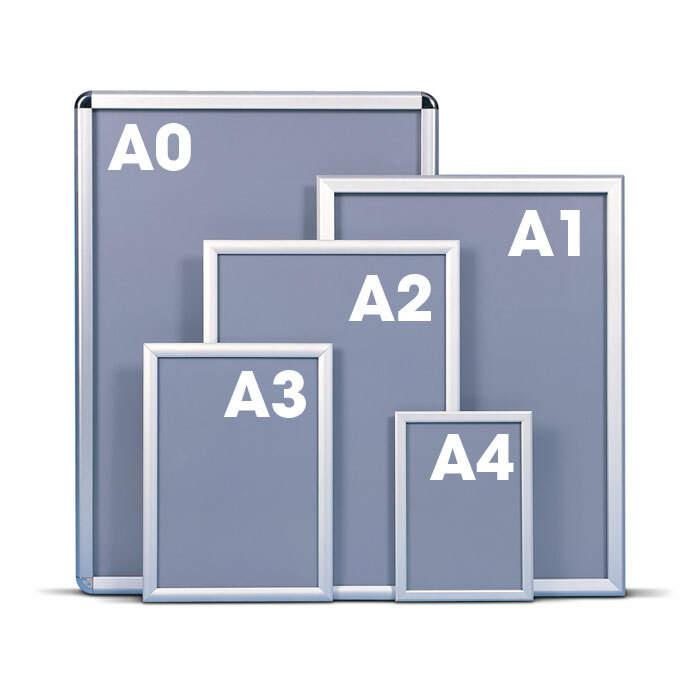 The ingenious Click system of these aluminium frames allows you to change posters in no time. Simply “Click” open the profile, remove the transparent protective sheet (poster cover) and change the poster. Updating of advertising, branding campaigns or display graphics can be done quickly and the durable spring steel hinge mechanism ensures long-term durability. Our poster frames are also available with illumination from size A2 Up.